The stars of the silver screen gathered at the Dolby Theater in Hollywood last night for The 87th Oscars ceremony, hosted by Neil Patrick Harris. Birdman emerged as the night's big winner, taking home four Oscars for Best Picture, Best Director (Alejandro González Iñárritu), Best Original Screenplay (Alejandro González Iñárritu, Armando Bo, Alexander Dinelaris, Nicolás Giacobone) and Best Cinematography (Emmanuel Lubezki), with The Grand Budapest Hotel also taking home four Academy Awards for Best Costume Design, Best Makeup and Hairstyling, Best Production Design and Best Original Score. It was a rare year where all eight of the Best Picture nominees ended up taking home at least one award apiece, but for many viewers, the awards themselves weren't talked about nearly as much as the speeches, musical performances and other segments from the ceremony, which ran more than a half-hour longer than its allotted three-hour time slot. After live-tweeting the event last night, I'm breaking down my 5 best and 5 worst moments from this year's Academy Awards, which fans will surely be talking about for days and weeks to come. These are not ranked by any particular order, making them as random as the ceremony seemed to be at certain points of the long-winded night, so take a look at the best and worst of the Oscars below. At least 10, possibly 15 minutes of last night's telecast could have been cut if this drawn-out magic bit would have been axed. At the beginning of the night, Neil Patrick Harris brought out a clear, locked box that held the host's predictions for the night. He even entrusted Oscar winner Octavia Spencer with keeping an eye on this box, going back to it throughout the night to make sure it hasn't been "tampered with." Neil Patrick Harris has a well-known affinity for doing magic tricks, and he was expected to add some sort of magical element to the broadcast... but this is what he went with? The bit was boring and awkward right from the beginning, and while the payoff was mildly impressive, it was nowhere near worth the wait. 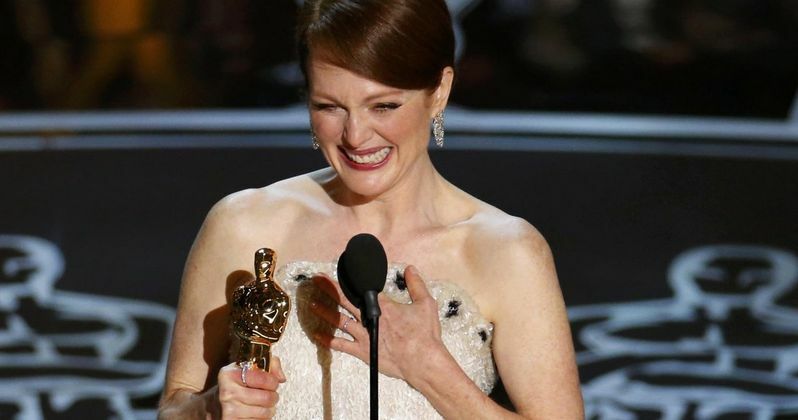 What do you think of our best and worst moments from The 87th Oscars? Were there any parts of last night's ceremony that you feel should be included on the list? Do you think Neil Patrick Harris should be asked to host next year? Chime in with your thoughts below, or let me know what you think on Twitter @GallagherMW.